Purses are like Friends..You can never have too many. I bet, you woudn't find a single girl who wouldn't agree with this quote. I am a big time HandBags hoarder, and I just can't have enough of them. My husband is often amused with the kind of handbag shopping I indulge in. So no matter how many bags I have or buy, I can always go handbag shopping any time of the day. 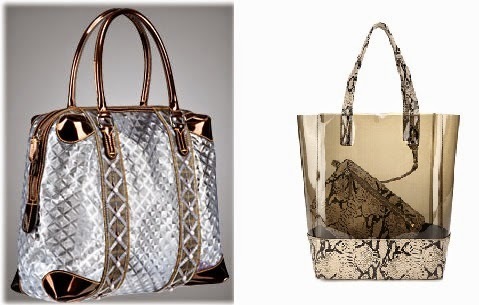 So, today's post is an ode to my never ending thirst for Elite handbags. I want to own a nautical stripes bag for the longest time, and I really don't know what's stopping me. Nautical stripes handbag instantly offers your outfit a cool quotient. It can be paired with with your hot shorts as well as kurtis effortlessly. Add that instant oomph to your LBD or LBS(Long black Saree...Duh..!) 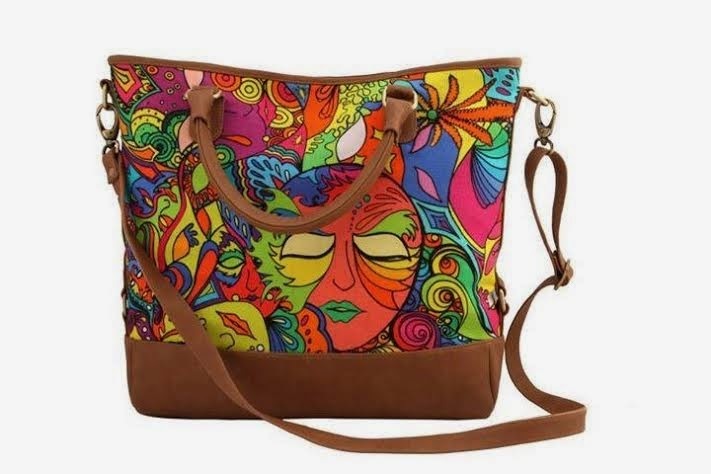 with a clutch or handbag having colourful graphical prints. Whether you want to attend a cocktail party or an Indian wedding, clutches never disappoint you. They are compact and stylish, and if picked wisely can uplift any outfit. 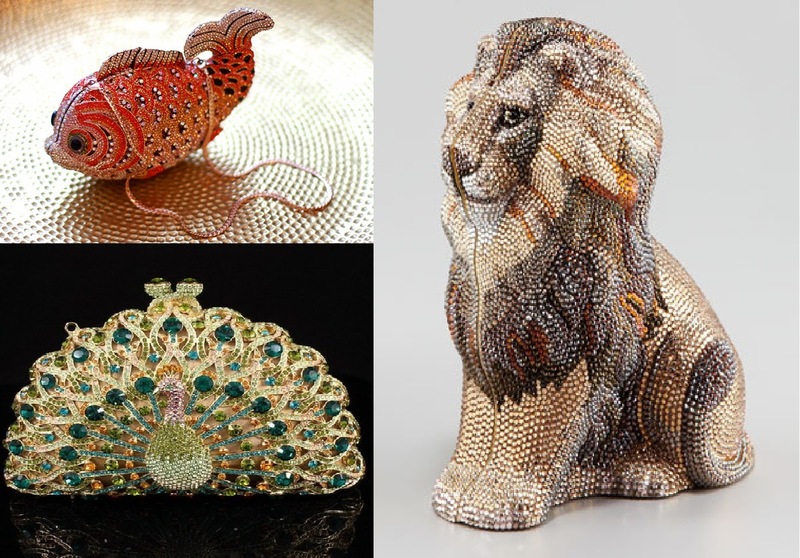 Lately I have been crushing on these blingy animal clutches. What do you think? Backpacks are my favourite pick for holidays, because they not only look stylish, but are very functional especially when you are traveling. They keep your hands free and you are free to do any other activity that you may wish. 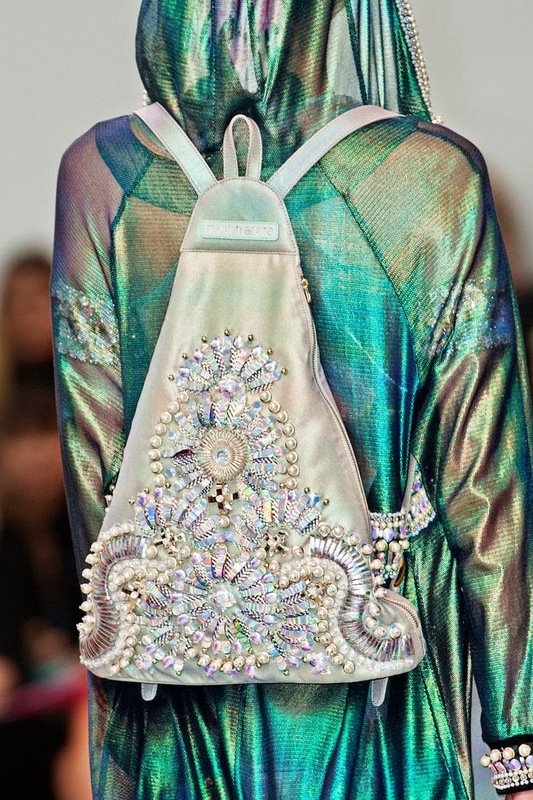 Right now, I own just one, but I am totally crushing on this Manish Arora backpack for the longest time. I owned one in college, and at that time these bags were not even in vogue. When I flipped through an old picture of mine with the transparent bag, I added one more bag to my wishlist..The Transparent Bag. These two beauties just stole my heart. How about you? I am crazy for the Judith leiber ones! Love the nautical stripes and the blingy cltuches! Very nice post. Happy to visit your blog, Thanks for sharing. I need to purchase myself a celebratory handbag in light of my promotion and raise at work. This is my handbag wishlist too, the stripes bag is the best among everything like the ones at (https://www.luxtime.su/wallet/louis-vuitton-wallet) site. These transparent bags are awesome too, I look forward to read more on this. This is my handbag wishlist too, the stripes bag is the best among everything like the ones at https://www.luxtime.su/wallet/louis-vuitton-wallet site. These transparent bags are awesome too, I look forward to read more on this.